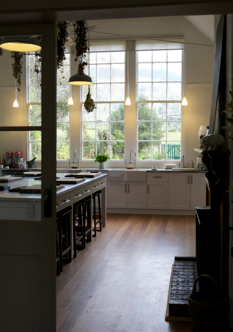 At Salamanca Market on Hobart's waterfront this morning I rugged up against the elements with the mission of brightening up my kitchen with some fresh flowers. I found a stall selling dutch hyacinths, he only had one white one left (white is my favourite flower colour) so I was in luck. 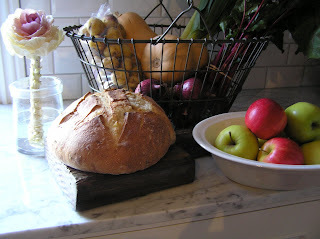 I potted them into a small French white porcelain tureen base... 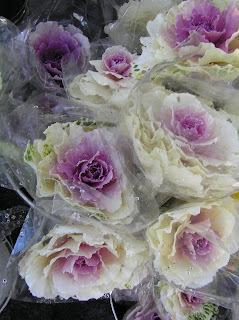 I was utterly mesmerised by some cabbage roses or ornamental kale on the same stall, I had to buy one to take home just to admire. 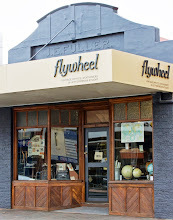 I have popped it in a glass vessel that I bought from The Vintage Rose in Launceston (see below photo). 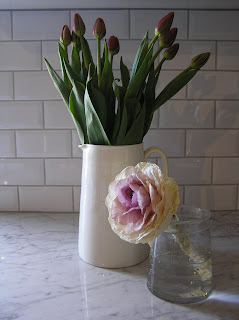 I also bought some tulips which look great in English creamware. 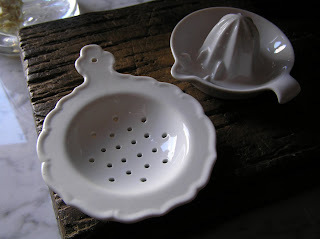 This jug is one of my favourites in my cupboard, I bought it on last year's UK buying trip. 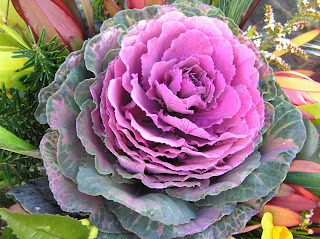 Here is another type of ornamental kale - amazing! This one was grouped with some native flowers, which I didn't like, they look best just as they are. I plan to plant some next year, I have to wait til Autumn. The frosts actually enhance the depth of colour. But the seeds need some warmth in the soil to germinate, so I will plant around 6 weeks before the expected first frost. 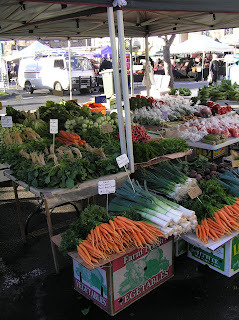 There are numerous fruit and vegetable stalls like this one. 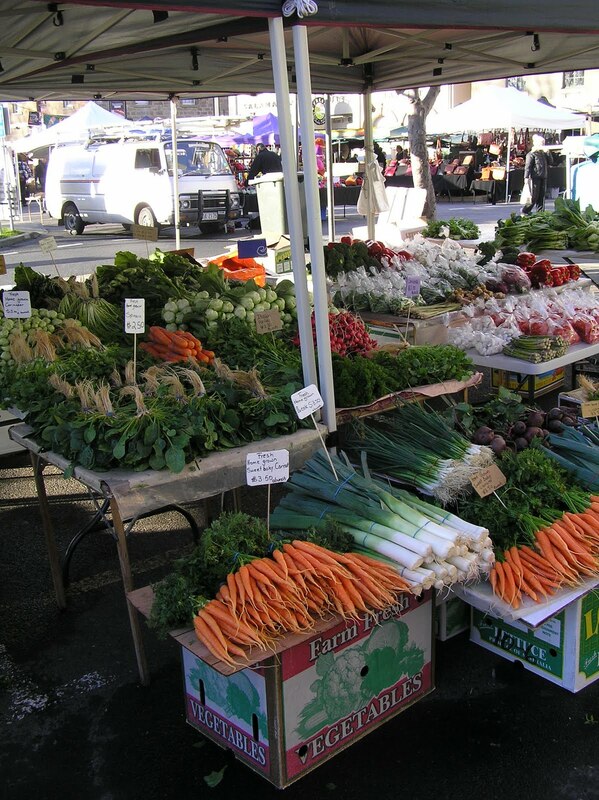 I bought some fresh produce including some organic apples, leeks, butternut pumpkin, beetroot etc. Plus a red onion and chedder bread to have with roast pumpkin soup. Yum. 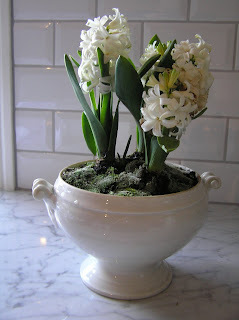 The hyacinths look gorgeous repotted in thre tureen. I saw the kale last weekend and it was being snapped up very quickly. I'd quite like to grow some next year too. 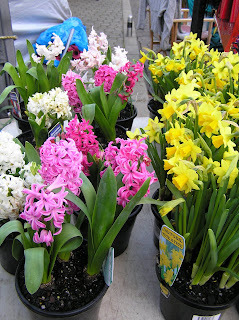 I agree - those hyacinths are just stunning. Now you've tempted me to get some next week!